Thank you for the opportunity to contribute to this important discussion today. IFPMA represents leading research-based pharmaceutical companies as well as national and regional industry associations across the world. 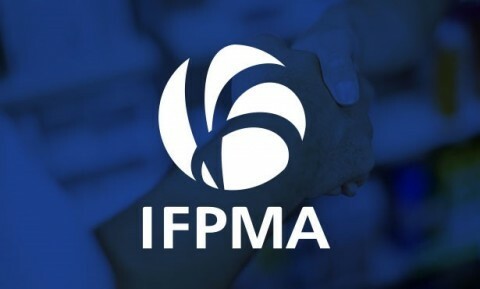 IFPMA welcomes continued efforts to design a framework allowing WHO to fulfill its leadership role in global health and its mandate by engaging with a varied set of actors, while managing any perceived or actual conflict of interest. 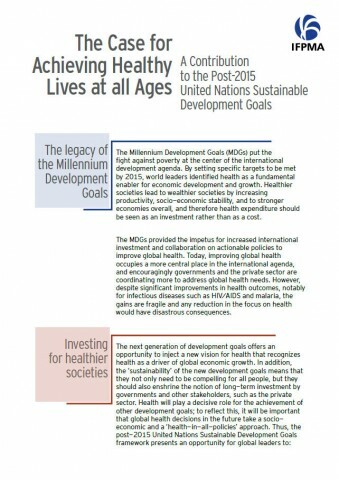 The landscape of global health is complex and collaborative approaches are now even more integral than ever before to much of the work needed to address our shared challenges and goals. A new framework should guarantee at the same time better protection and more interaction, in order to facilitate improved health outcomes rather than prevent them. However, the current draft framework appears to be restrictive in a number of areas that would hamper non-State actors in their ability to fully contribute to global health outcomes. During this World Health Assembly we have heard how cross-sectoral collaboration is critical to face new and re-emerging challenges, including, for example, Ebola and antimicrobial resistance. This is equally important if we consider that success in the implementation of the new UN Sustainable Development Goals will also depend on collaboration between governments and non-state actors. We call for transparent engagement with all non-state actors and accountability by all. These are key metrics for the WHO to assess tangible contributions of non-state actors to achieving its objectives. Where conflicts of interests, whether commercial or not, may arise, it is appropriate that these are managed in a robust, clear, transparent and equitable manner. We call for equitable application of the provisions of this framework across different categories of non-state actors. By achieving this, we will be able to harness the full potential of all non-state actors to better meet shared global health goals.